We want our readers to design a Viking shield. It will be judged by the Jorfor's Hall Viking Re-enactment group, who are going to be at the finale on 11th April, and the winning shield will be made to scale and presented to the winner at the finale (we hope they will be there!) Yes - the winning design WILL be made into a shield. If won by a child from a school, their school may like to display it for a while, but it is expected the winning child will want to keep it! Entries need to be sent to lynne.coppendale(аt)doncasterbookaward.net no later than midnight on Thursday 28th March. You can scan them in to email, or the lovely staff at Doncaster Central Library have said you can deliver your entries to them and they will let Lynne know there are hundreds there for her to collect (because there will be - of course). So - let your imaginations fly free, use it as part of history, art, design, whatever, and we look forward to your fabulous designs. The DBA is all about children reading and recommending books. This year we are giving away signed books, signed audio books and DBA T-shirts to the best reviews posted on our website. One review will be chosen each month between our Launch and Finale. THERE'S MORE! At the end of this year's award the best overall reviews will win book tokens courtesy of our partners at Waterstones Doncaster. You could be a winner, so start reading and reviewing today. The first monthly prize was awarded to Bobbi-Leigh from Morley Place Academy for her review of The Wizards of Once at a special assembly at her school in December. You will be able to hear Bobbi-Leigh talking about the book in an up-coming podcast. 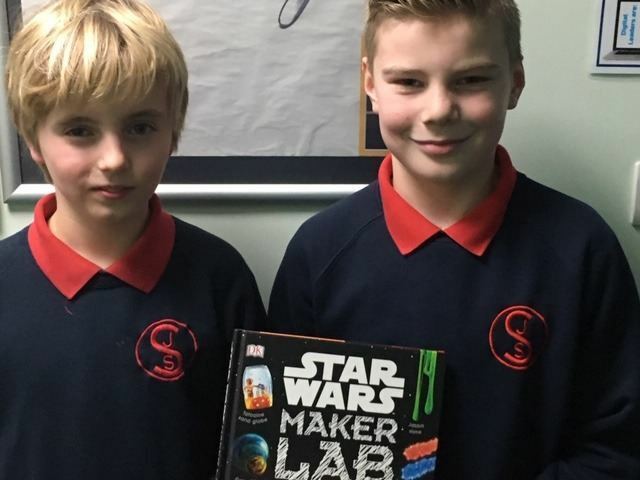 For January we have joint winners, Toby and Leon from Saltersgate Junior School for their reviews of Star Wars Makers Lab. They were awarded their prize by the DBA's Lyn Hopson at a whole-school assembly. Each boy received a signed book by Andy Griffiths and a Reading Champions T shirt.